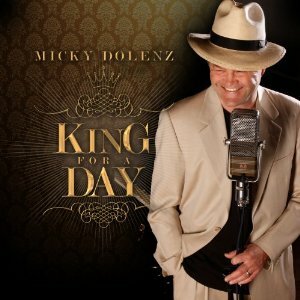 I do realize that for me to be reviewing Micky Dolenz’s new CD, King For a Day, is kind of like a theater critic reviewing his older brother’s new play, but I promise that I am not being prejudiced in writing this! 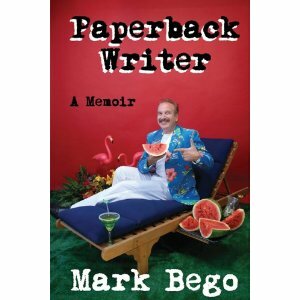 Monkees fans will recognize that I am the co-writer of Micky’s autobiography, I’m a Believer (1993 Hyperion Books / 2004 Cooper Square), and that I have an entire Dolenz chapter in my new rock & roll memoir, Paperback Writer (2010 Publish America). 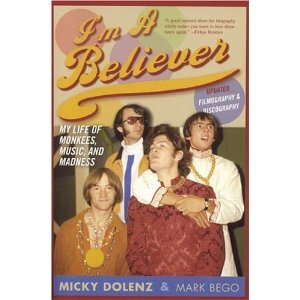 However, long before I was Micky’s friend and co-writer, I was a first generation Monkees fan, so I am going to share my musical opinion from that perspective. I love it when my co-writing rock star buddies stretch out stylistically, like Supremes star Mary Wilson doing her new jazz act, or Vandellas star Martha Reeves headlining the touring company of bluesy musical Ain’t Misbehavin.’ However, for Micky Dolenz to choose 2010 to do an entire tribute album to songwriting star Carole King, is nothing short of brilliant timing—and a logical progression! First of all, the CD package itself is very classy looking which makes it totally appealing at first sight. Although the microphone that Micky has in his hand on the cover, is an old RCA model that looks like Frank Sinatra might have used it in the studio in 1945, the expression on Micky’s face is so engaging and fun, that it sets the perfect visual tone for the pop/rock classics this disc holds within. In general, the overall recording quality, and all of the performances here are truly top notch. I especially like the fact that the music is not “over produced,” but each track shows Micky off in a wonderful, lively, and varied setting. There is also a fun roster of musicians here, including Jeff “Skunk” Baxter formerly of The Doobie Brothers and Steely Dan. However, like Carole King’s career itself, this satisfying album follows the piano-playing singer/songwriter into her hit-making ‘70s material as well, notably on “Sweet Seasons” (from King’s 1971 Music album), and “I Feel the Earth Move” (from 1971’s Number One Tapestry album—which is still the biggest selling female solo album in recording history). Each of these tracks provides Micky with even more solid material for him to put his own indelible vocal stamp upon. Some of the most appealing performances on King For a Day are some of the truly surprising duets. One of the best is Dolenz’s “Crying in the Rain,” which he sings with his sister Coco. Although die-hard Monkees fans know this fact, most people don’t realize that Coco was often in the recording studio with Micky for The Monkees’ tracks, where she did a lot of unheralded background singing work. It is a musical fact that siblings are great at harmonizing with each other, because they received their singing chops from the same genetic source. This song truly supports that theory nicely. And, who would have guessed that Micky would successfully duet on “I Feel the Earth Move” with teenage Emily Osment of Hannah Montana fame. Much to my amazement, it works! However, the most exciting duet finds Micky singing “Just Once in My Life” with the legendary rock voice of Bill Medley. What can I say but: this duo performance is truly “Righteous,” Brother! If you, like me, are a Monkees fan from the 1960s, and you have been waiting for a Micky Dolenz solo album that will stand up to your fond memories of More of The Monkees and Headquarters, your wait is over. There will be no more “Crying in the Rain” for you: check out King for a Day, it’s been worth the five decade wait! Get King For A Day Now!